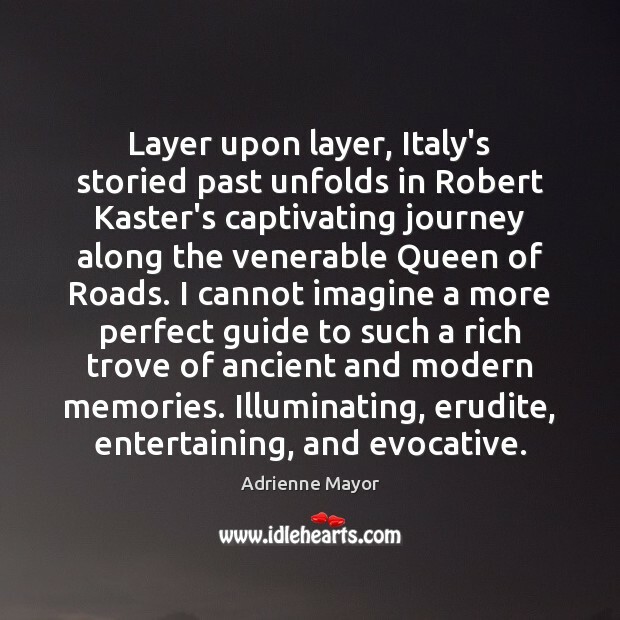 Enjoy the best inspirational, motivational, positive, funny and famous quotes by Adrienne Mayor. Use words and picture quotations to push forward and inspire you keep going in life! 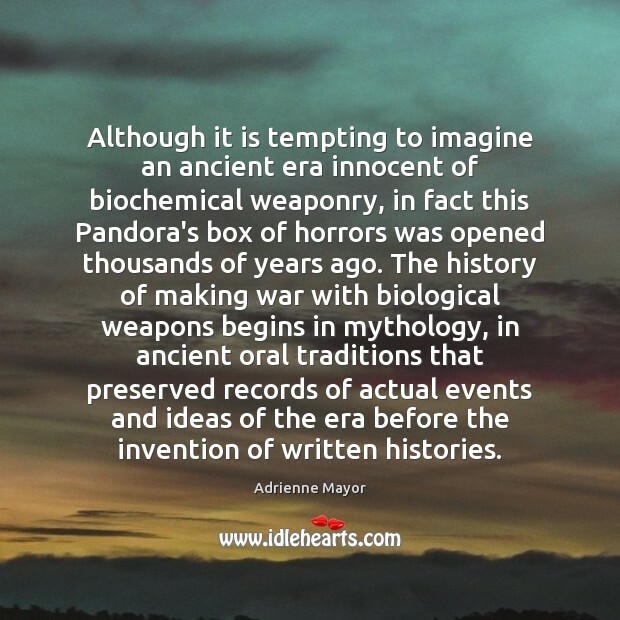 Although it is tempting to imagine an ancient era innocent of biochemical weaponry, in fact this Pandora's box of horrors was opened thousands of years ago. 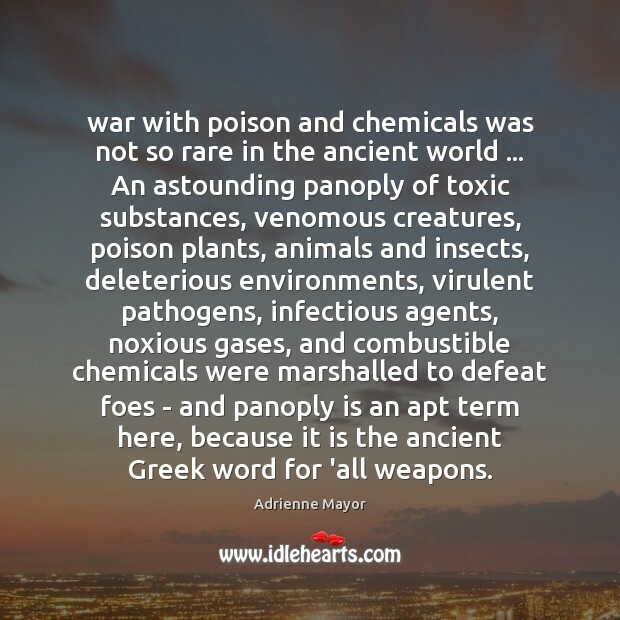 The history of making war with biological weapons begins in mythology, in ancient oral traditions that preserved records of actual events and ideas of the era before the invention of written histories.